These comfortable, lightweight hoop earrings are bright, fun and colourful. Handmade with 3mm round wire, the diameter of these hoops are 25mm. Pure titanium is 100% hypoallergenic and will not produce skin irritation or discoloration. 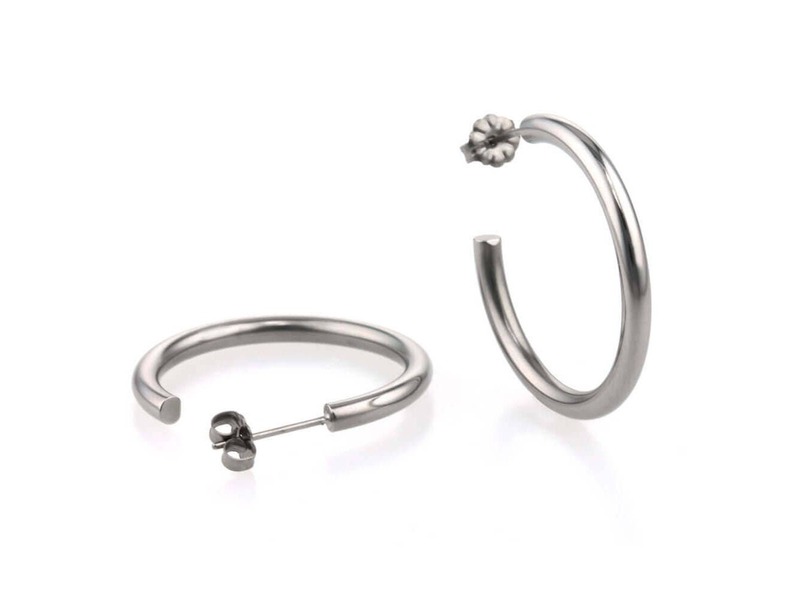 Titanium is perfect for jewellery. It is strong, corrosion resistant, hypoallergenic and beautiful to look at.